Vellore is the fort city of Tamil Nadu. As this place was ruled by Pallavas, Cholas, Vijayanagara Empire, Carnatic Kingdom and Rashtrakutas, one gets see a glimpse of Dravidian civilization in the rich culture and heritage of Vellore. It is located in the north eastern part of the state on the banks of River Palar. Apart from the Vellore Fort and the temples there are many historic attractions in the city. 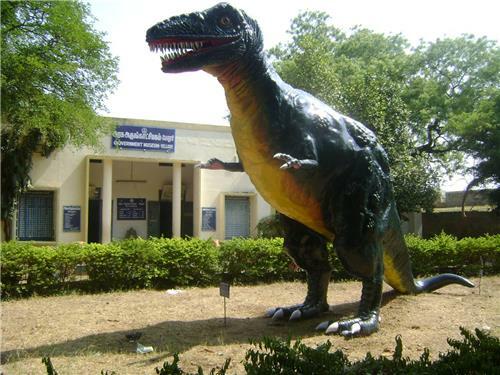 The museums in Vellore are also give interesting facts about Vellore and its historic past. Vellore museum or the State Government museum and the Archeological Museum of India (ASI Museum) are the must see places in Vellore. The Government Museum of Tamil Nadu is located across the street from ASI museum in Lakshmanaswamy Town Hall beside the main bus stand. The museum is maintained by the Department of Museums along with the Indian Government. The museum exhibits some of the most unusual things that you have ever seen from the pre-historic period. The museum is part of the Vellore Fort and was opened to public from September 6th 1985. Later in the year 1999, due to shortage of the space the museum was shifted inside the Fort. The museum holds 2896 exhibits of art, weapons, sculptures, objects of pre-history and archaeology, wood carvings, bronzes, numismatics, handicrafts and philately in 5000 square feet of area. It also objects of zoology, geology and botany. You can find the curios from Anthropology, botany, Art and Archaeology, Numismatics, geology, zoology and pre-history among others. The 8 galleries in the museum gracefully depict the historic monuments of North Arcot District. Another part of the museum exhibits special objects like the double antenna sword made of Bronze from Vellore taluk, which dates back to 400 BC. You can find Stone carvings and sculptures belonging to the period from Pallavas to Vijayanagara dynasty. Chess board and coins made of Ivory which was used by last kandian King of Sri Lanka and Vikrama Raja Singha. The museum conducts various educational activities for the school and college students from Vellore city and nearby places. The activities conducted include art camps, study of inscriptions and iconography. You need to pay a nominal fee to enter the museum which is open to all on all days of the week from 9 in the morning to 12 in the noon and from 2pm to 5pm. The museum is located next to the Vellore Fort. Except for Friday, the museum is open on all the other days. It is a small museum compared to the other museums and host exhibits of sculptures and stone artifacts. The artifacts and the sculptures date back to 8th century onwards when Pallavas and Cholas ruled this region. Entry is free for this museum. 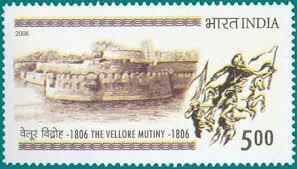 The museum also holds an 1806 Vellore Mutiny, an anti India earlier uprising by the Indian troops. Both the museums are worth paying a visit especially if you are interested in knowing the rich history and culture of Vellore.